A mother had the chance to hear her dead son’s heart beat inside the chest of the woman he saved with a transplant 18 years ago. 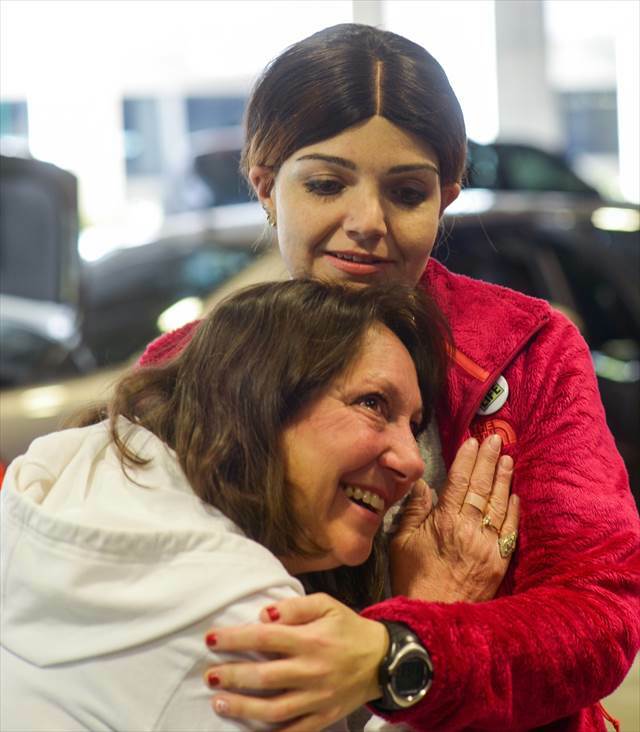 Tears were flowing as Vicki Brannon, 56, and Jennifer Lentini, 31, finally met on Valentine’s day at the Tampa International Airport. Brannon’s son Matthew McIntyre was accidentally shot in the neck in 1996 when a handgun his friend was loading nearby suddenly went off. The friend had found the gun in an unlocked cabinet at another teen’s home. Matthew was just 14-years old at the time. His mother decided to donate his organs, and Lentini, who was then a 13-year-old suffering from heart muscle disease, was waiting for a transplant. Brannon said at the time she had been scared Lentini’s transplant wouldn’t be successful. ‘If it didn’t work, if she passed, I would go through another loss of my son,’ Brannon told the New York Daily News. It was Lentini who found Brannon on Facebook and set up the reunion. The two had not had any contact since after the operation, when Brannon sent Lentini a letter and a photo of Matthew. Lentini was extremely grateful that she finally had the chance to thank Brannon and she flew down from New York after friends helped fundraise the reunion, which happened on National Donor Day. Brannon said at the reunion that she felt like she had gained a daughter. ‘I want her in my life and I think she wants the same,’ she said. At one point during the reunion Brannon held her ear to Lentini’s chest to listen to her son’s heart beat once again. ‘My Matthew is in there,’ she said. Lentini, who was in the hospital for months while waiting for a donor, promised Brannon she was taking good care of herself to keep Matthew’s heart beating. She said that, although there had been some lingering health concerns following the operation, she remains happy and healthy and makes sure to exercise and eat right. Lentini showed Brannon pictures of the time she spent in the hospital waiting for a new heart. She also gave the mother a necklace inscribed with Matthew’s initials and called him her guardian angel. Brannon remembered her fun-loving boy, who had dreamed of becoming a police officer but ultimately saved another teenager instead. This is a wonderful, heart-warming story which clearly shows the worth and life-changing power of organ donation. Stunning and heartfelt in every sense of the word. How absolutely beautiful. This brought tears to my eyes! This post tips me back into…generosity of heart. Hi, this is my story. My donor mom just listened to her sons heart beat for the first time in 18 years. 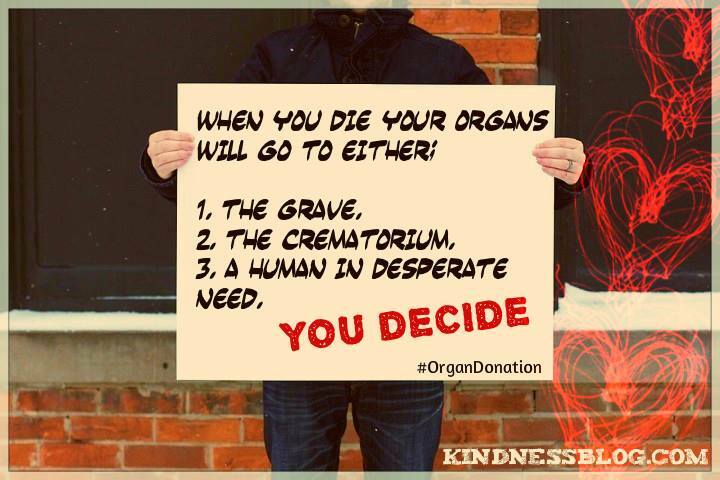 ❤ I hope this helps people to see how organ donation changes lives. To the world you may be one person , but to one person you may be their world.